December 23rd is a tricky time when grand plans, visions and ideas need to be materialized and one's knowledge is to find its practical essence and ways to be used in the real world. 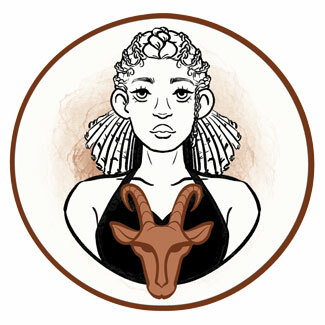 This is a fragile beginning of the Sun's travels through Capricorn, still not experienced and well-founded as this sign tends to be, and challenging one's ego to cross the lines of personal comfort zones in order to build the world they wish to live in. The Moon and Jupiter always combine in a positive story of optimism and hope, but the sign of Capricorn doesn’t like either of these entities and limitations seen in the row of those born on December 23rd might be incredibly powerful to stop and challenge one's growth until all hope is gone and loneliness takes over. Their mind is rich with information, their emotional world too, and the only point of grounding and seeing reality with all its true potential is found in the Sun. These individuals are filled with enthusiasm for the first part of their lives, but tend to go to different extremes as they grow older, and need their faith constantly rebuilt as they absorb and metabolize emotions that come to surface. "An Indian Chief Claims Power from the Assembled Tribe"
These symbols represent things that come after the storm, after the battle, and when everything is to fall into place after a chaotic or less focused period of contemplation or exploration. The beauty is found in faith, regeneration, and spiritual awakening, and while those born on this date often see themselves as plain humans, they will typically strive high and build their beliefs to get in touch with the unifying idea of Oneness. They strive for higher thought, but in order to reach it, they need to go through difficulties, shadows or trauma, so they can resurface on the other side where challenges are accepted just as they are. 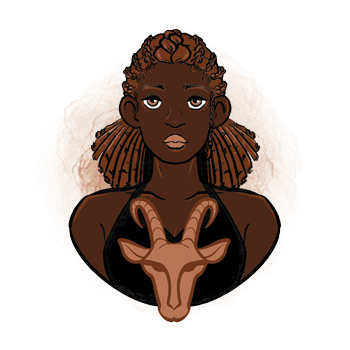 With Mars being the guidance for individuals born on the 23rd of December, they are meant to find grounding and initiative, focus on reality instead of spinning through scenarios in their mind and philosophies and beliefs that evoke negative situations. They must care for the body, sports, exercise, and active lifestyle that will allow them to get in touch with processes in their physiology that need to connect with their emotional world and mental strivings. Their task of connecting the brain with actual deeds is the most important thing they’ll do. The first glimpse of emotional spasm found in the sign of Capricorn is seen in lives of those born on December 23rd, and they could feel unconscious fear of close contacts and intimacy before they are ready and self-taught or self-built enough to have confidence to get in touch with another person. This won’t typically make them emotionally limited or fenced, but over time, disappointments could make them question all their relationships and push them into solitude, contemplation, and processes of forming solid boundaries that require physical distance from other people. They feel the need to try many different things and they are curious to try themselves out in different sorts of relationships. Still, they are somehow mostly turned to long-term commitments and when in love, they stay around for as long as purpose is not completely lost. Their relationships at a young age have a great impact on their sexuality and their energy for other things in life over time. They should choose their partners wisely and cleanse properly from emotional content blocking their path towards a creative future. They need a calm person beside them who makes them feel safe and nurtured, so they can relax and show their own tender emotions without restraint. A person born on December 23rd is an incredible teacher when in touch with those they tutor and their own emotional world. They need to feel the joy so they can implement their knowledge, and excel as sportsmen, hunters, miners, and manual laborers, finding meaning in practical things that need to get done. They are engineers and builders, those who study science that can be used in their daily lives, and do great in fields of economy, architecture, construction and material testing. Tantaline is one of the best stones for people born on December 23rd to use, protective and giving a positive push to their creativity and decision making processes. It is a crystal that shows negative influences from the side and beliefs that limit one's movements, blocking outer hostility and passive aggression coming from other people. Helping with exercise and giving them access to physical strength, these crystals aid a more practical outlook on any situation that swirls in their mind and teach them how to use the intellectual power they’ve been blessed with, for their own good that is in tune with the good for the world around them. The choice of birthday gift for someone born on December 23rd may be a bit tricky, as they seek something specific and something to light their way rather than simply multiply what they already have. It is your best bet to turn their focus on the body, give them a voucher for a local gym, spa, pay for a massage or a beautifying treatment that will remind them that they should never neglect their physical existence. Teach them something new or take them into the mud, but don’t stick to traditional and common gifts if you aren’t absolutely certain that your feel for their taste is set in place. Hopeful and filled with optimism, they have the energy to endure through challenges of life and understand that there is always a light at the end of the tunnel, with their mind rich and their heart kept safe by those who love them most. Sometimes unaware of the difficulties of life, they get disappointed, raise expectations too high and demand too much from others, putting pressure where it isn’t needed in an attempt to create something that might lose its meaning while being built. In 1946 Susan Lucci was born, an American actress and author considered an icon, called "Daytime's Leading Lady" and inducted as a Disney Legend. The Susan Lucci Collection is her own line of hair and skin care products, as well as perfumes and lingerie. In 1964 Eddie Vedder was born, an American singer, songwriter and multi-instrumentalist, best known as the lead vocalist of the band Pearl Jam. His parents divorced when he was an infant and since his mother remarried soon afterwards, he grew up thinking this man was his biological father. When he was speaking about his teenage years, he said that he was all alone – except for music. In 1971 Corey Haim was born, a Canadian actor and a teen idol of Hollywood in the 1980s when he starred in Lucas, Dream a Little Dream and The Lost Boys. As a child, he wasn’t particularly interested in acting. He played competitive hockey, played on his keyboard and collected comic books at the time. 1815 – Jane Austen's (born on December 16th) novel Emma is published for the first time. 1893 – The first time that the opera Hansel and Gretel is performed. 1913 – The Federal Reserve System of the U. S. is created. 1947 – Demonstrating of the transistor by the Bell Laboratories. 1954 – The first time that a kidney transplant is done with success. 1986 – The first aircraft that flew non-stop around the world without refueling makes a landing.